HDMI Extender, 4K HDMI Extender, 4K 8X8 HDMI Extender 70m manufacturer / supplier in China, offering 4K 8X8 HDMI Matrix Extender 70m by Single Cat5e/6/7 Cable, Mini HDMI to VGA Adapter (with audio), Bluetooth 5.0 Wireless Earbuds with Auto-Charging Box and so on. 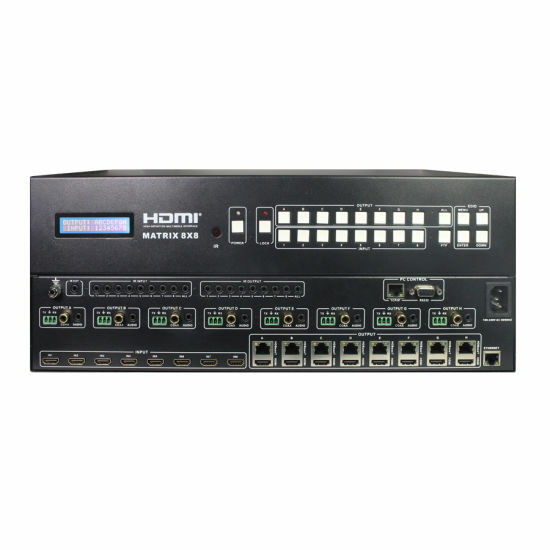 The 4K 8x8 HDMI Matrix with simultaneous CAT5e/6/7 and HDMI outputs connects eight HDMI sources to sixteen displays. 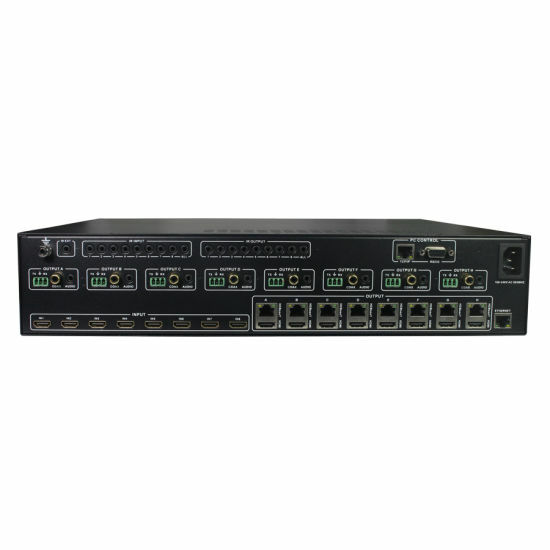 This matrix features eight HDMI outputs and each HDMI eight is mirrored to provide a CAT-Cable output which runs simultaneously. It supports the transmission of video (resolutions up to 1080p Full HD and 4Kx2K@30Hz) and supports high resolution digital audio formats such as LPCM 7.1CH, Dolby TrueHD, Dolby Digital Plus and DTS-HD Master Audio. Connect a HDBaseT Receiver to each of the CAT-Cable outputs to extend the HDMI signal up to 230ft/70m(70m version)for multi- room connectivity. It works with Blu-Ray players, Set-Top boxes, Home Theater PCs, and game consoles that connect to an HDMI display. 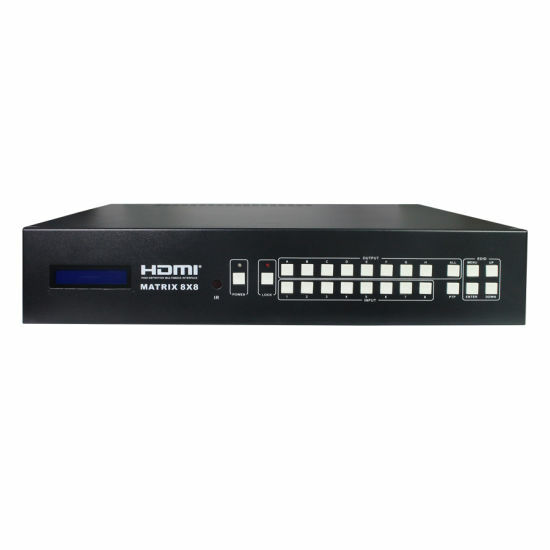 Any source is accessible at all times by any display by selecting it via the supplied IR Remote Control, RS-232, TCP/IP or by using the selection buttons on the front panel. This device supports High Definition Audio, and 3D signal compatibility. 7.Supports wideband IR(30-60Khz) matrix system, IR transport channel can be forward or backward. And supports GLOBAL IR input and output.